For what may be the first time ever, a major U.S. airline has switched its allegiance from one of the three global airline alliances to another. 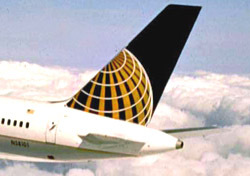 The carrier, Continental, over the past week has severed its ties with the Delta-led SkyTeam group of airlines, and taken its place as a member of the Star Alliance group (United, US Airways, Adria Airways, Air Canada, Air China, Air New Zealand, ANA, Asiana, Austrian, Blue1, bmi, Croatia Airlines, EGYPTAIR, LOT Polish Airlines, Lufthansa, Scandinavian Airlines, Shanghai Airlines, Singapore Airlines, South African Airways, Spanair, SWISS, TAP Portugal, Turkish Airlines, THAI). For travelers who mostly make domestic trips, the alliance change will be a non-event, except for the new frequent flyer program lineup. October 24 was the last day for OnePass members to earn and redeem frequent flyer miles with SkyTeam airlines, including Delta. Beginning on October 27, OnePass members can earn and redeem miles on 24 Star Alliance carriers. That means earning OnePass miles for United and US Airways flights, among others, and a wide range of new opportunities for award travel to Europe and Asia. In the elite area, OnePass Gold and Platinum members automatically receive Star Alliance Gold status, netting them access to more than 954 lounges, extra baggage allowance, priority baggage delivery, dedicated check-in counters, priority waitlist, and airport stand-by. OnePass Silver elites receive automatic Star Alliance Silver status, entitling them to priority waitlist and airport stand-by. OnePass members will also be able to use their miles for Star Alliance upgrades when traveling on participating Star carriers (Air China, Air New Zealand, ANA, Asiana, Austrian, LOT Polish Airlines, Lufthansa, Scandinavian Airlines, Shanghai Airlines, Singapore Airlines, SWISS, TAP Portugal, Turkish Airlines, THAI, and United). The larger promise of global alliances has always been in providing a seamless travel experience when flying two or more partner carriers. So in addition to earning and redeeming frequent flyer miles in partners’ loyalty programs, there’s codesharing, better coordination of schedules, joint fares, airport terminal co-location, and the like. Those can be meaningful benefits, but only if your itinerary includes connections between two alliance-related airlines, which is typically on overseas flights. Longer term, Continental’s closer relationship with United could be the first step toward an eventual merger, with the resulting company supplanting Delta as the world’s largest airline. But that’s an alliance of a different sort.